All packed and ready to go back to the Tassia in the mornind, we cant wait, Kossta and his family are wonderful people and welcome you with open harms. Hey guys.. just booked to stay here on holiday for two weeks in august.. reading from the reviews its like a family hotel we have 2 lads ages 20 and three girls aged 21 going aswell.. looking for i would class as a livley holiday but i just wanted some intake on what time no noise is allowed on a night as we wont be going out till about midnight. but on the plus side when we come back we can actually have sleep.. Does the hotel offer exchange of euros and travellers cheques? Hi Hollie, I stayed there in May this year. As far as the room I was in is concerned, there was no safety deposit box. I think there is somewhere that you can safely store things though. If there's anything else you need to know, feel free to email me at colindavidcadden@hotmail.com. I have pictures and stuff too. All the best. I am due to go to Tassia Studios in jsut over a week and was wondering whether the rooms have Safe's (saftey deposit boxes) ?? Can anyone answer my query?? 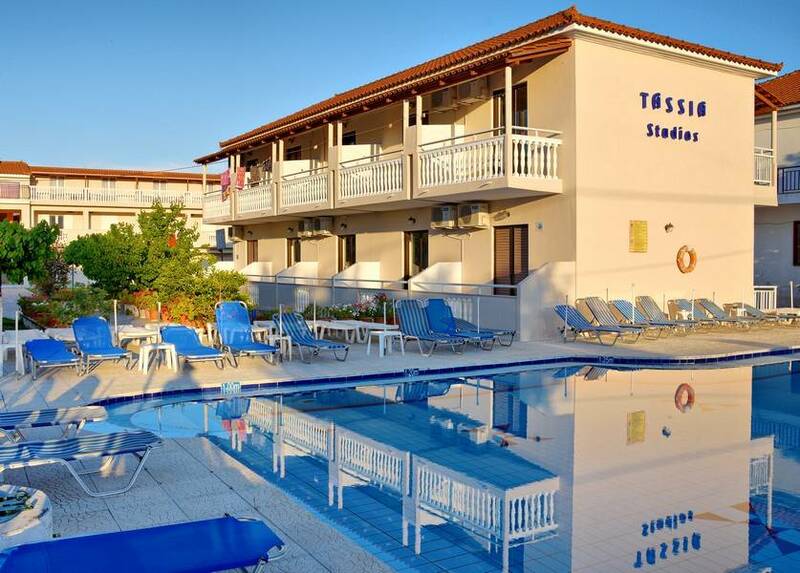 I stayed at Tassia Studios last August for 2 weeks, and loved it. I went with my boyfriend and we are 24 & 26, I would say that while we were there it seemed like it was mainly couples, but there were a few smallish groups. It's family run, really friendly, chilled, and out of the way of the busy strip. Kostas is really friendly and helpful, but strict with noise levels, so no making noise after midnight! So maybe not recommended if you are generally a loud bunch. But if you are well behaved and cause no trouble you should be fine. Tassia is probably the furthest away hotel from the main town, I reckon the walk down to the beach is about 40 mins, but probably seems longer because it is just one long road. 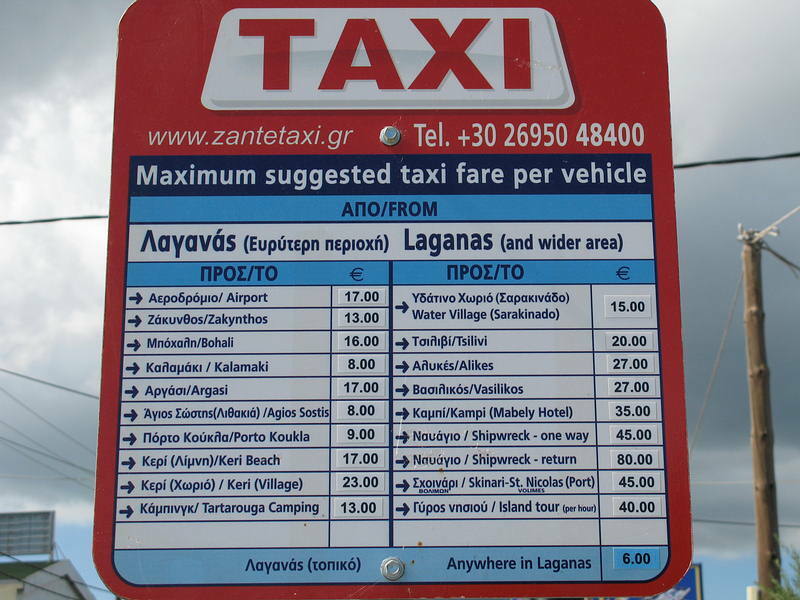 A taxi down to the strip/beach would cost around 6 euros, and the staff will call you a taxi to pick you up from ther hotel. Anyway I enjoyed it that much I have booked to go back this year with 2 of our friends. If you have any more questions, I don't mind answering them - or trying to!! 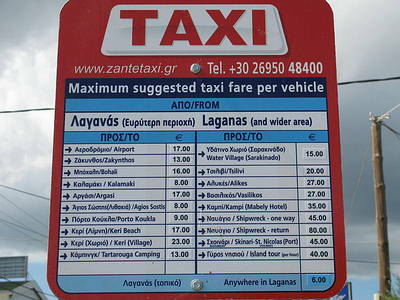 your best bet may be to visit their website www.tassiastudios.gr, there may be a 'contact us' section on there. As far as I know, its a quiet place and is some way from the action of the main strip, (approx 2.5km). I've heard it's not really for the partying or rowdy kind or large groups. It's more for couples or possibly families. Please don't take my word for it, it's just from what I've read from various sites as I booked last week and have been looking into it since. hi jus want to no peoples opinions, especially from kostas, we are a group of lads from newcastle,aged around 25, we have jus booked up to go to the tassia studios on june 24th, there is going to be approximately 20 of us going, the travel agent told us that the hotel is suited to this kind of party but after reading the comments left here im beggining to think this is a mistake,i would like to hear from kostas on this as after all i have been going to the greek islands for many years and stayed just down the road at nancy and marinos apartments,(an excellent place) i have great respect for the greek people and i dont want to spoil my opinion of the people of zante. so kostas if you are reading this i would greatly appreciate it if you could get in touch thanks. Could someone tell me, where the Tassia Studios located please? I know it's out of the main resort a little, but can someone tell me where and how far exactly. I'm all booked up for a week at Tassia Studios. 2nd - 9th May. Anyone else going at the same time? When are you going Jessica? Hiiii. Just booked today to stay in this hotel. 7 girls all 18. Fun going girls and love to drink. Is this hotel recommened for more club 18-30 hoildays ? Just got back from our two week stay at the Tassia with my family. 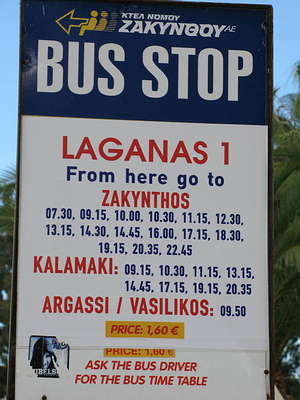 First time to Zante and would definitely go again. We thought the location of the studios was just right, not too far from shops, bars and restaurants; but far enough to get a good nights sleep without all the noise from the strip. The Tassia itself is really clean and well equipped. Regular entertainment is put on by Kostas and his family. When playing bingo you must remember to RELAX! The food is excellent and reasonably priced, proper Greek cooking. Kostas and his family could not do enough for you, overall a really enjoyable stay and had got to be our best holiday yet. Thank you all at the Tassia. Had a fantastic week. The apartments were very basic but extremely clean. Linen and towels changed every other day. The apartments were further from the beach/strip than the travel agent informed us - at least 2 miles we reckon but a leisurely stroll at night was enjoyable and a taxi back for about a fiver. Kostas ruled with a rod of iron but was very friendly and always prepared to put himself out for us. He kept the bar open very late as long as noise was kept to a minimum which was considerate and made everyone's holiday enjoyable and he provided shower rooms and blankets for those travelling at night so that they could enjoy their final day and evening and get their heads down on the sunbeds whilst waiting to be collected for the airport. As a couple in their 40's we thought this was fantastic value for money and provided pretty much what we expected - sunshine, clean basic room and a place close enough to see some night life but far enough away from the strip so that we could chill out. WOULD NOT RECOMMEND FOR YOUNG PEOPLE WANTING LOUD/LIVELY ENTERTAINMENT!!!! We have just had the best holiday ever!!!!! My boyfriend and I enjoyed our time staying with Kostas and his hard working friendly family. The complex has a real relaxed atmosphere and Kostas took the time to get to know us personally. We liked how he was very clear about his expectations of behaviour as well as being funny and quirky. We needed a quiet relaxed holiday and this is what we had, perfect for our needs!!!!!! We felt really safe as we were away from all of the hussle and bussle of Laganas, which can we mad at times. The Beach is a good walk away but has many bars along the way!! !